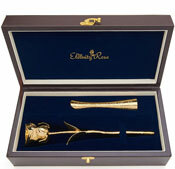 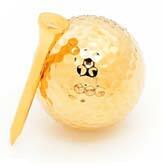 A high-quality 24K gold-dipped golf ball with tee set. 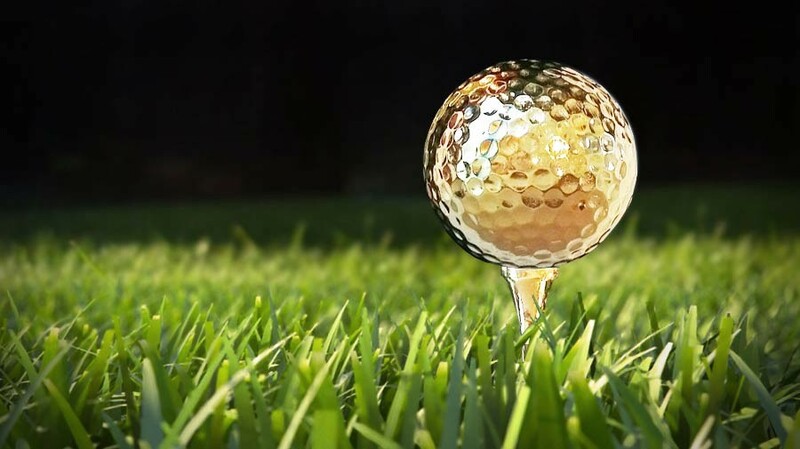 High durability is guaranteed thanks to our patented process, yet all balls retain their playability. 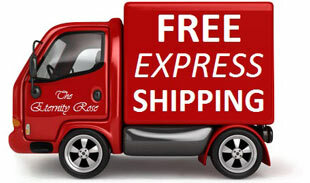 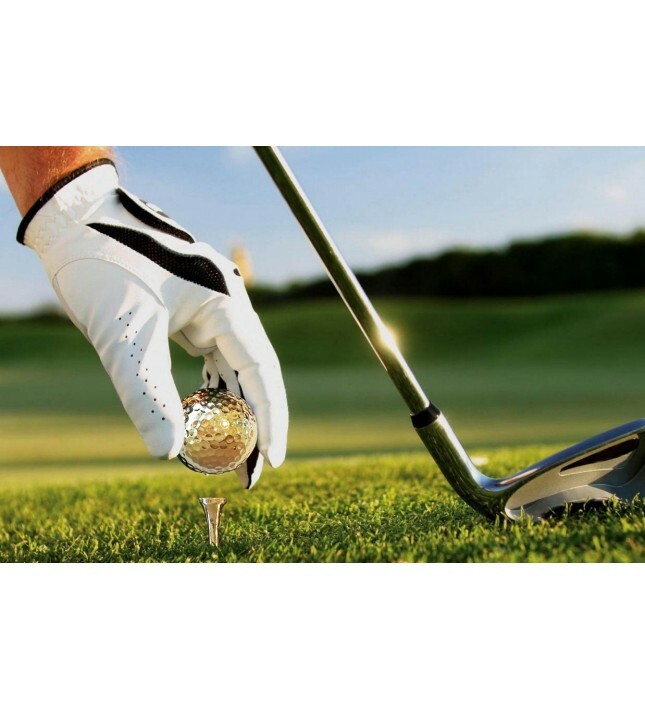 Each stunning golf ball can easily match a standard golf ball in its ability to fly long and straight. 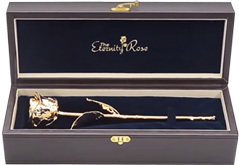 Perfect to mount and display. 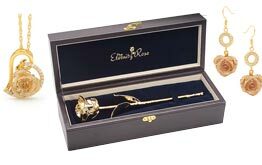 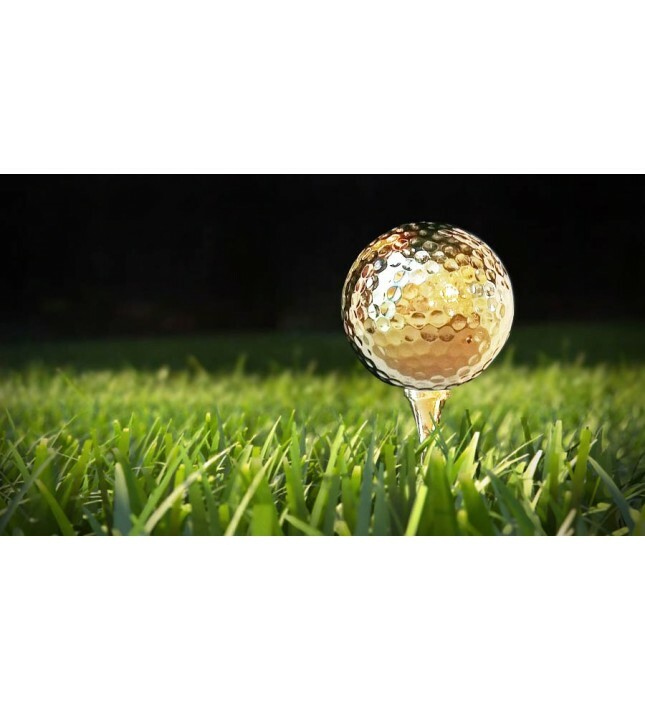 Each high-quality set comprises a tee and a long-range golf ball that have been dipped in a patented mix of 24K gold and our special polymers. 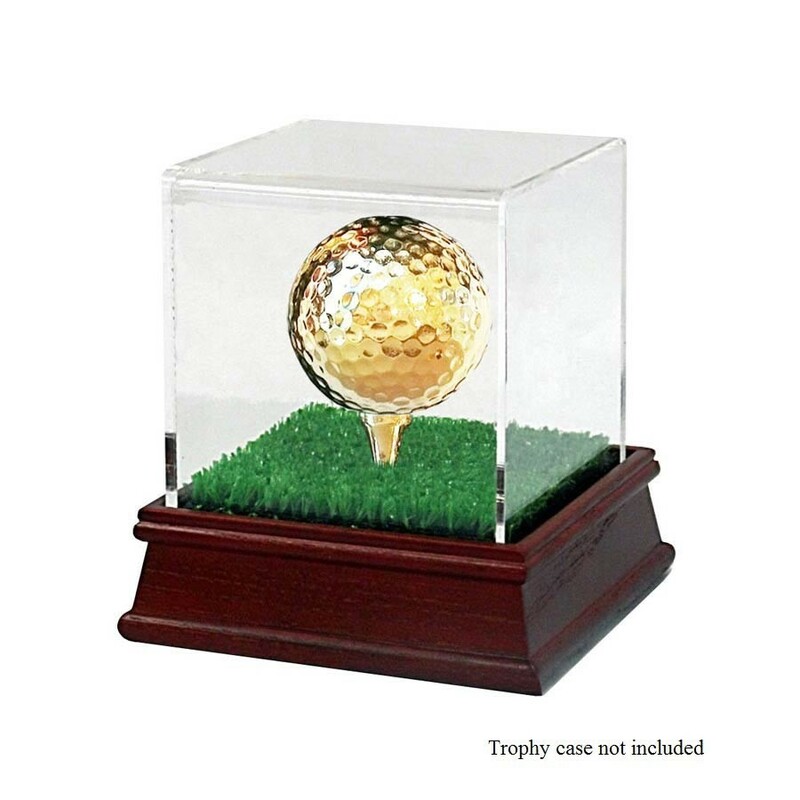 Thanks to our unique formula, each 24K gold-dipped ball retains excellent durability, together with outstanding control and the ability to fly a long distance. 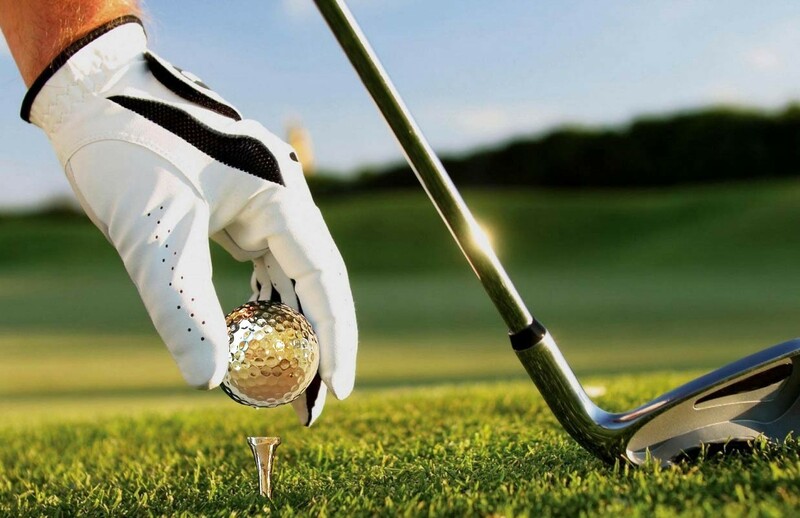 We guarantee that all our golf balls will reach the very same standards of playability as any standard golf ball, ensuring your game will never suffer. 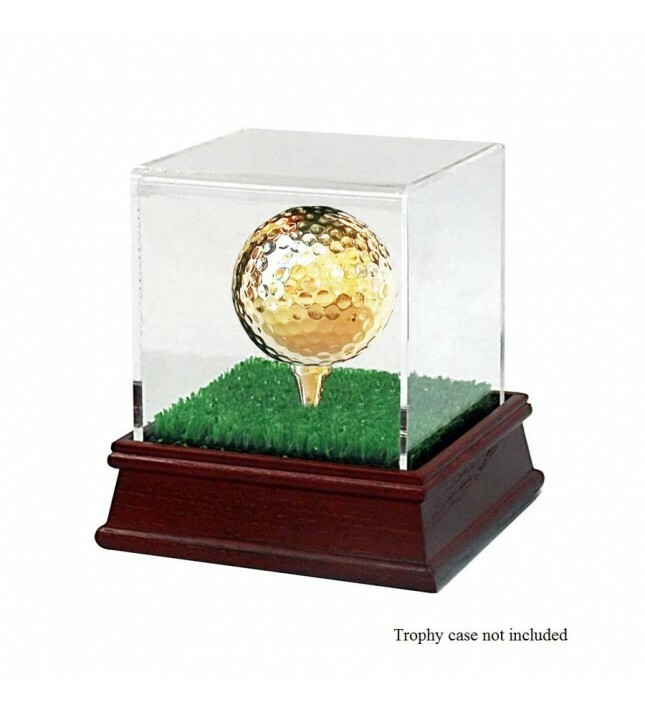 Alternatively, you can display it in pride of place in a trophy cabinet. 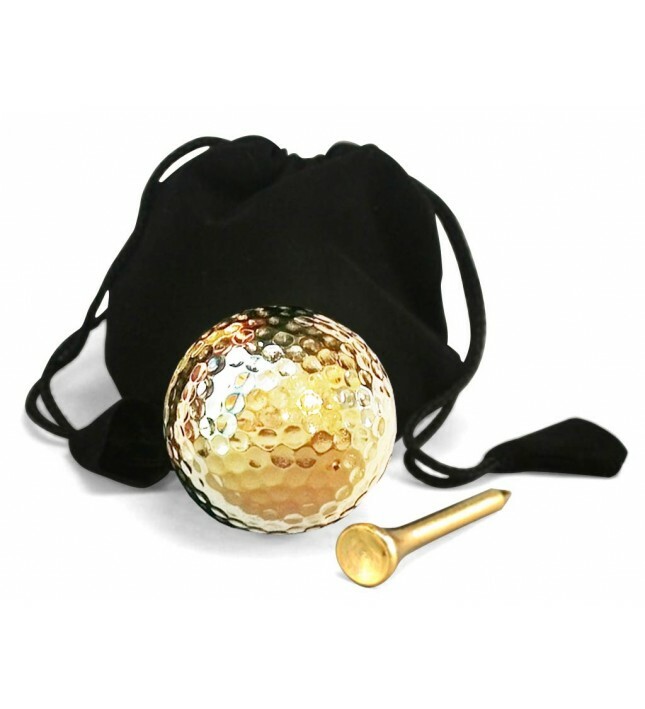 Every golf ball comes in its own sleek pouch made from black velvet inside a gift box. 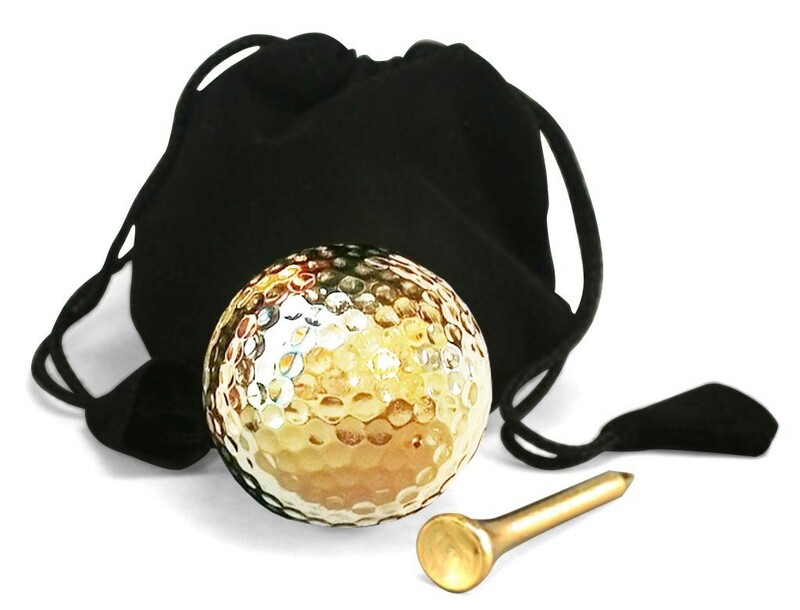 There can be no better gift for the golfing enthusiast in your life, whatever the occasion, than this beautiful 24K gold-dipped tee and golf ball. 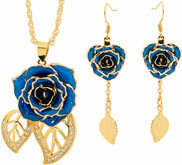 This set can also be purchased in a display-only format, ideal to give as a trophy or to use as a desktop display.